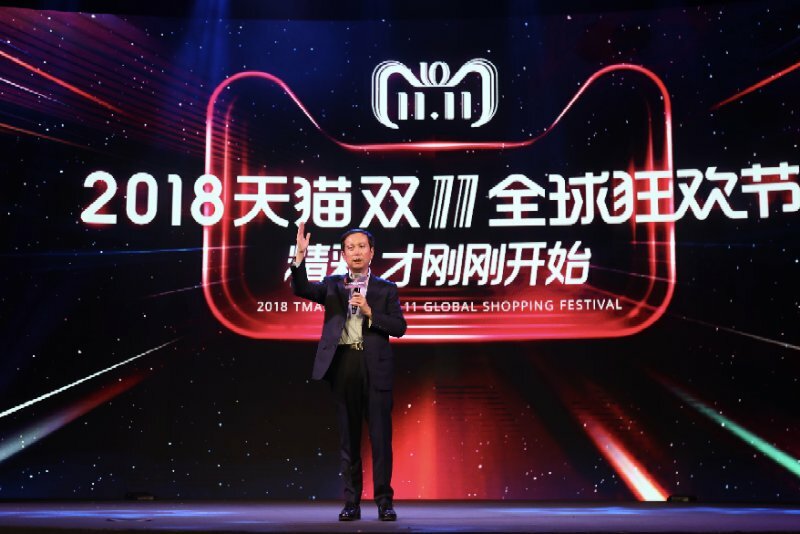 Alibaba Group aims to host the largest-ever Nov 11 shopping festival in scale and reach as the event enters into its 10th year. The goal will be underpinned by the participation of multiple business entities in the Alibaba ecosystem, providing discounts to not just online purchases but a wave of on-demand services like catering, food delivery, beauty and entertainment, the company said on Friday. The festival's growth and its evolution "showcases the development of the Alibaba ecosystem over time, expanding well beyond e-commerce," said Alibaba CEO Daniel Zhang. Some 180,000 brands from China and around the world will participate in this year's gala. Alibaba's Tmall platform will offer 500,000 items for pre-order from Saturday, and customers can access promotional coupons via Mobile Taobao and Mobile Tmall applications. The event is becoming global, with Tmall Global, the dedicated cross-border portal, providing 3,700 categories of imported goods from 75 countries and regions on its platform. Meanwhile, Tmall World, AliExpress and Lazada will bring the event to hundreds of millions of overseas users. Lazada, a Singapore-based e-commerce site it took control of two years ago, will host its first 11.11 Shopping Festival for customers in Singapore, Malaysia, Thailand, Indonesia, the Philippines and Vietnam. New this year, 200,000 smart stores in China across the apparel, fast-moving consumer goods, beauty products, automobile and home decor industries will help boost traffic to offline and online shopping destinations. And some 200,000 mom-and-pop stores powered by Alibaba's Ling Shou Tong store management system will provide online sales promotions and augmented reality-based red packets that offer discounts at 3,000 "Tmall Corner Stores." Rural Taobao will also bring coupons to its services in 800 counties across 29 provinces in China. Another highlight this year is local services. Food delivery arm Ele.me will provide delivery services for select Starbucks stores across 11 Chinese cities, including full-service coverage in Beijing and Shanghai. In addition, 150,000 merchants partnering with Koubei, Alibaba's dining and entertainment review site, will offer half off on catering, beauty and hair salons and karaoke bars. Debuted in 2009 to spur spending in traditional e-commerce low season, the event has become a landmark event on the world's retail calendar. The 24-hour sales skyrocketed from $7.8 million in 2009 to a staggering $25.3 billion last year.